Kevin Roche, the Pritzker Prize-winning architect behind such iconic buildings as the Metropolitan Museum of Art in New York, the Ford Foundation headquarters, the Central Park zoo, California’s Oakland Museum and the Convention Centre Dublin speaks exclusively to Lynne Nolan about his prolific career. 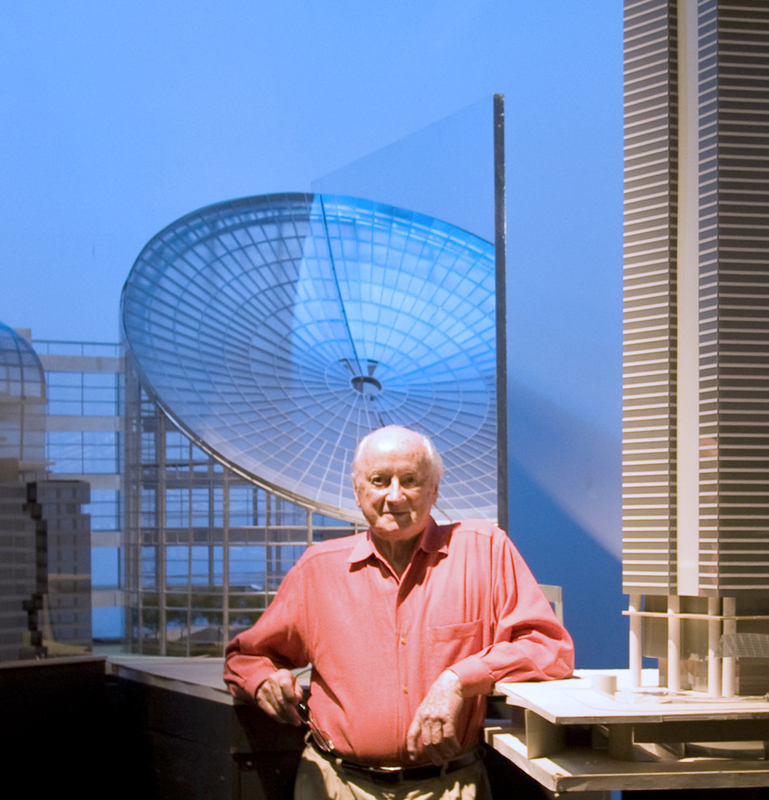 Born in Dublin in 1922, Kevin Roche received a Bachelor of Architecture from the National University of Ireland in 1945. After professional experience in Dublin with Michael Scott and in London with Maxwell Fry, Kevin moved to the US in 1948 to study under Mies van der Rohe at the Illinois Institute of Technology. Roche joined Eero Saarinen’s firm in 1950 in Michigan. Saarinen was moving his practice from Michigan to Hamden when he died in 1961. It was left to Roche and the other partner, John Dinkeloo, to finish some of his most iconic projects, including the TWA terminal at JFK Airport, the CBS Headquarters in New York and the Gateway Arch in St. Louis. 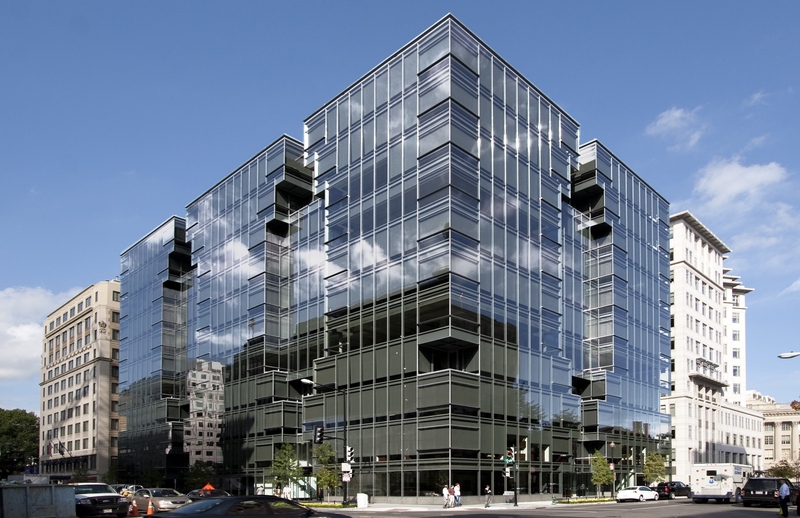 In 1966 the firm became Kevin Roche John Dinkeloo and Associates. Roche has won innumerable awards for his designs of more than 300 major buildings around the world. For over five decades, Roche has been the architect for the master plan and expansion of the Metropolitan Museum of Art in New York, designing all of its new wings and installing many of its collections. 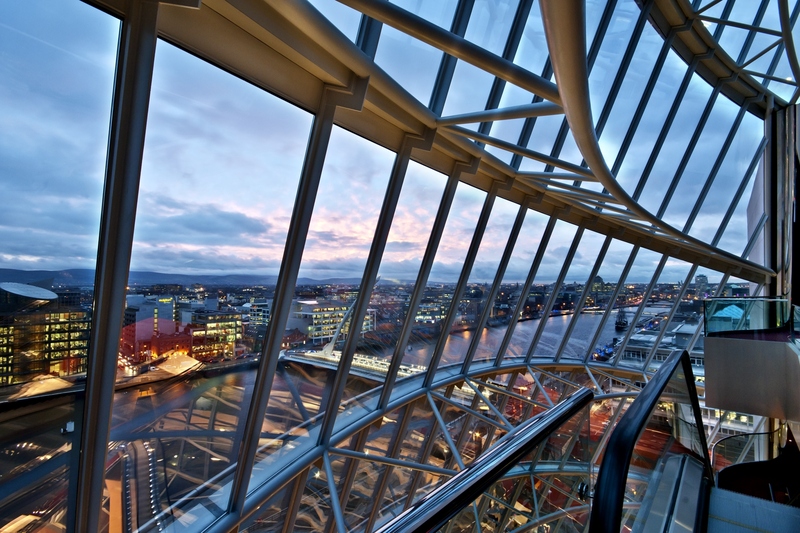 Opened in September 2010, the Convention Centre Dublin (CCD) is the first Irish building Kevin has designed; featuring a 55-metre high glass atrium offering guests amazing views right across the Dublin skyline to the Dublin and Wicklow mountains. You’ve been hailed as a visionary and on being the awarded the UCD Ulysses Medal your architecture was described as rooted firmly in the reality of people’s experience, but how would you, Kevin Roche, define your own approach and style? The interesting thing about my architectural education is that it was really set up as if architecture was sculpture. In other words, designing something in an abstraction. The fact that people are going to live in it, going to use it really never came up. It was never thought of as an instrument for human life. It took me many years to realise that what we do as architects is we build environments for people to live, to grow and indeed, to die. So all of those aspects become terribly important and the real purpose for our design. In recent years it has been my concern; that we don’t pay enough attention to how people live and how our buildings can improve the quality of their lives. You’ve advised young architects to ‘work, work, work,’ yourself working up to seven days a week, when did you first realise your passion for architecture and how did you set out to pursue that goal? I don’t think of it as work, I think of it as pleasure. I think if you really enjoy being an architect, you don’t think of it as work. Although I did work for seven days a week, I was really enjoying myself for seven days a week. That is because you’re doing something creative, you’re doing something with a real purpose, and you’re doing something that’s useful for the community. On winning the Pritzker Prize, you thanked “Eero Saarinen whose short life described for many of us the full dimension and the true role of an architect and whose memory will be honoured by the generous gift that accompanies this prize,” how did working with Eero inspire or shape you in your career? Eero was an absolutely fantastic person; a really great architect. He was my inspiration and still is my inspiration. He had a very short life. In a matter of 10 years he created some of the significant buildings of our time. He was totally committed and absorbed, totally concerned with every aspect of architecture, so it was a very wonderful experience that I had working with him. Why did you decide to read the letter from the lady in Las Vegas when you won the Pritzker Prize? I really just used that as a kind of a joke. I was getting this iconic prize and she was asking what was I doing that was useful? At the time, I got the Pritzker Prize I didn’t think the prize was a big deal, as I think I was about the fourth person to receive it. It didn’t interest or concern me that much. Now it has become a huge deal in an architect’s career. The Convention Centre Dublin was your first Irish building, what prompted your decision to work on that project and what did it mean to you on a personal level? I was very pleased to become involved in that. Johnny Ronan invited me to come and talk to him about a large project he was going to do. Then I met with Richard Barrett, his partner. The project involved a lot of housing and a conference centre. I went through several studies and finally proposal, which would have covered several acres. I then made several public presentations of it and the community was absolutely outraged that I was proposing to build buildings 17 storeys high, they kept referring to them as skyscrapers. It never occurred to me that 17-storey buildings could be called a skyscraper. That went on for maybe a year or more and I finally gave up on the whole thing and decided ‘to Hell with it.’ Then Johnny talked me into at least doing the Convention Centre. Scott Tallon Walker took on the office and residential part of the project. In their master plan, they confined the site for the Convention Centre to a corner of the whole site, which made it rather difficult for the Convention Centre because, I had to stack all of these different functions, right on top of each other. That is the reason the building has the escalators as a main feature, because the problem with stacking these functions is getting the people around to them and the escalators are the most efficient way to do that. It also opened the opportunity for a view of the Dublin and Wicklow Mountains and beyond, and I felt that was very nice to bring into the whole perception of the building. What were the challenges of the CCD project and what do you feel are the most defining features of this iconic building? The defining features, not only just accommodating the program and trying to do it in the most efficient way, but it is really the matter of moving large groups of people around this building, which has basically a small footprint for the amount of things that have to go on it. Is it true that you designed every facet of this building right down to the door handles? I did design every facet of the building. Because obviously there were many people involved, I supervised all aspects of it, even indeed down to the door handles. I really did. In any building, there are many people who contribute to the design of it, and ultimately somebody has to supervise it all and keep it pointed in the same direction, and that becomes really the role of the principal designer. Many of your buildings have renewed their surroundings and instilled optimism. How important is that you and with which buildings have you witnessed that transformation most? One of the large groups of buildings that we did, we did 37 corporate and institutional headquarters. What that meant was that we were building buildings for people. Building buildings for people who spent their working days inside, what in those days was shuffling paper, now in these days is just staring at a computer, and it is boring, boring, boring. What I was trying to do in those buildings is to offer not only a creative environment, but some place that would create a sense of community, that would make people want to go there, that people would enjoy being there. We didn’t always succeed in doing that but that was our objective. That has become more apparent now. In the current standards for designing office buildings, they’re introducing many more recreational aspects into the design of buildings. I don’t know if that will work or not, but it shows we were certainly heading in the right direction. You often bring in nature with glass with your work, can you talk about some of the projects where you’ve done this and the significance to the completed building? Nature is terribly important to humans. I think Freud was the one who established that. Indeed, in order to stay sane and happy you need to have close contact with Nature. We tried in many ways to introduce growing material inside in the atria. We did it at the Ford Foundation, we did it in all of the corporate headquarters, and we’ve done it at museums. In the Metropolitan Museum, we have four large atria which are really community spaces. We have always tried to do that. It’s an important community contribution. What do you consider to have been the greatest achievements of your career to date? Surviving is the great achievement. This is a tough, tough, tough business. Surviving isn’t easy and doing it in a way that, as I said, makes a contribution to the community so that people can make some sense out of it and get some enjoyment out of it, I think I would say that was probably the most significant thing I could do in the buildings. What has been the highlight of working on the Metropolitan Museum of Art? The highlight of working on the Metropolitan Museum of Art was the fact that we were able to study all of the different cultures it houses. It was a tremendous education because, I had to do deep research on all of the aspects of the cultures in the museum’s collection. That was very instructive, but it was also very exciting, and informative. It was a wonderful, wonderful experience. Now the masterplan is all built. It went on for some 35 years. We worked with a great group of people at the museum. It was instructive, informative and really very enjoyable. I don’t really have a favourite building. I have many, many buildings that I like. Many are historic buildings. I can’t really think of one in particular, that would fill all of the requirements. Almost any historic building has some measure of interest in it. So I don’t have a particular one. I enjoy many, many, many buildings. I enjoy the fact that I was privileged to have a life in architecture, it is one of the great professions and one of the great commitments in one’s life. Previous Frank Delaney fans, rejoice!